Ireland’s offshore islands are providing an example of what life will be like across the country once the impact of the shortage of priests begins to be felt. 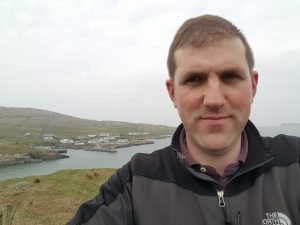 In an article for the Association of Catholic Priests, Fr Patrick Burke outlines how islanders living off the coast of Mayo manage without permanent access to a priest. Fr Burke is a curate serving in Westport and as such he is officially the pastoral coordinator of Clare Island, population 150, and Inisturk, population just over 50. In the past, Clare Island and Inisturk, which lie nine miles from one another, were served by the one priest, but Clare Island hasn’t had a resident priest since 2002. As a result, neither island has a Sunday Mass. 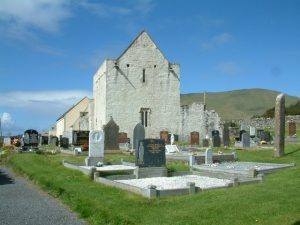 Instead, Masses on the two islands are celebrated on either Friday or Saturday, with Clare Island having a Mass on two out of every three weekends and Inisturk having a weekend Mass once every three weeks. When there isn’t a Mass being celebrated, the islanders organise a liturgy of the Word with Holy Communion that has been consecrated before the event. “The pastoral councils on both islands are vital to the life of the parish. They meet regularly, I’m only present occasionally. Their wisdom is of vital help to me. They do much of what a priest does in the weekly running of a parish,” Fr Burke said. Clare Island is three miles from Roonagh Pier in Louisburg, and it takes 20 minutes to travel there by ferry. Inisturk is nine miles from Roonagh Pier and the ferry journey takes about 55 minutes in good weather.